His hair ? Full height ! While some opt for a partial mohican, today's streetstyle keeps all of his hair up. Particularly attentioned, this hairstyle is obtained with longer hair. The sides of the head are shaved to bring out the lengths. 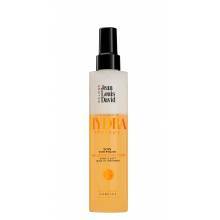 To hold it all day, a sculpting paste or fixing gel are essential to ensure a long-lasting look and malleable hair depending on your mood. His look? Extensively thought out, like his hair ! Today's streetstyle knows what suits him and wears items that flatter. 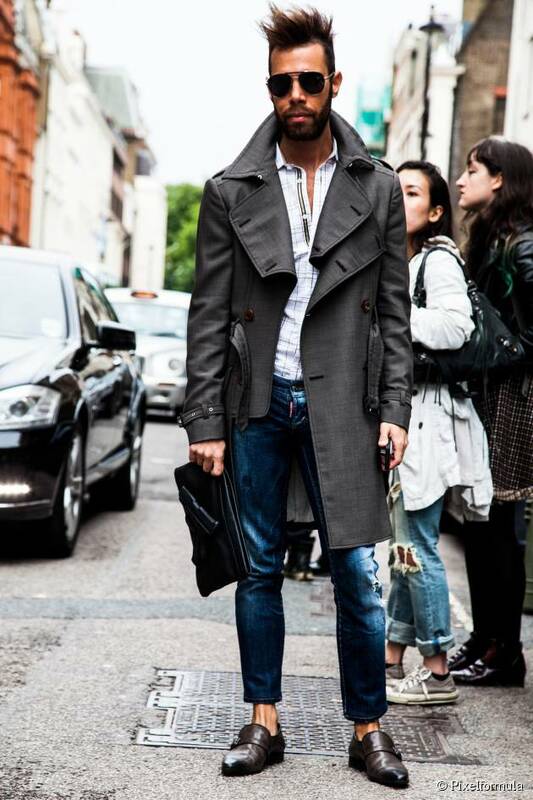 Short jeans, an open shirt, an elegant overcoat…his silhouette is strikingly dandy! His accessories consist of leather shoes and pouch with a pair of aviator sunglasses, it doesn't get more trendy than this. Tip of the day. Choosing between gel or wax is rather easy: it depends on the finish you want to give your hair. The gel will shine and hold, while the wax guarantees hold with a matte finish.